In general, Sekiro has four different endings, depending on the choices you make in your journey. 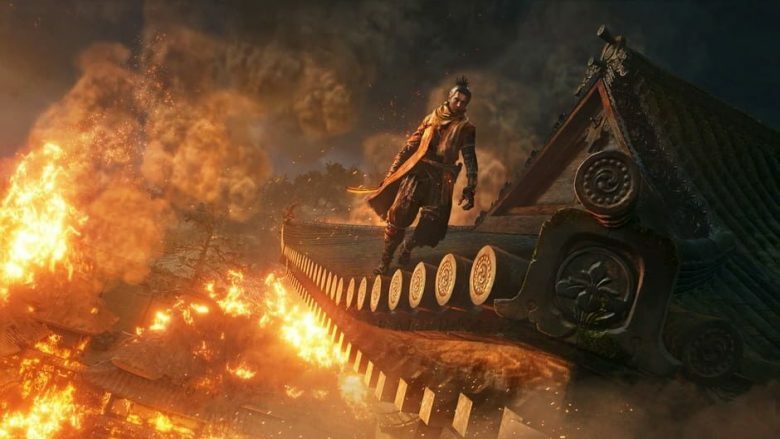 If you want to unlock every ending in Sekiro: Shadow Die Twice, you need to know what to answer when the questions are asked. So, let’s see how to get each of Sekiro’s endings. There are obviously some spoilers here, but we will try to keep it abstract, so if you still want some surprises, you can find out which one to choose. The chance to finish your game for the first time comes from Shura’s ending. After defeating the guardian and the fallen monks, return to Ashnath Castle. Meet the Owl on the roof and choose the Owl when you make a choice between him and Kuro. Then the two boss fights are unlocked, and if you want the Man without Equal achievement, you need to complete this fight. When you need to choose between Owl and Kuro, choose Kuro. Play the game normally, but don’t go back to Hirata Estates. Pick Kuro again on the roof of Ashina Castle, then head to the tower of Isshin and you will be able to eavesdrop on the conversation between him and Emma. Then go back to Kuro and listen to him, then head to the corner of the room for tips. Go to the idol and rest, then talk to Emma and agree with her. Rest again on the idol and talk to Emma again. Go to the old grave idol and talk to Emma, ​​then go back to the dilapidated temple and eavesdrop on Emma and the sculptor. Talk to Emma and get the bells used on the Buddha statue. Now, at the Hirata Manor, defeat two new mini bosses and head to Lady Butterfly’s room. Defeat the new boss there and continue the game as usual. Once again, choose Kuro on the roof of Ashina Castle. This time go to the Temple Grounds idol and let Sekiro sneak into the pond to get the Holy Tome: Infected Scroll (and don’t forget to prayer beads). If you visit the main hall of Senpou Temple before killing Genichiro, you can also get the Holy Tome: Infested Scroll. In this case, talk to the monk here until he gives you the tome and asks you to present it to the sacred child. Enter the inner temple, talk to the sacred child, and hand her the drenched scroll she just cleared. Eat the rice she gave you, then rest in the idol. Talk to her again and continue to eat rice (after all, you have to recover). Continue to do this until she asks you to eat a persimmon, then hand it over to her and continue eating rice. In the end she will give you some rice, but this is for Kuro. Do not eat those rice. Go and give the rice to Kuro. Once you have fed Kuro, return to Inner Sanctum and talk to the happy child of the rice for the last time and leave. She will not be there anymore, so you need to go to the fantasy hall and talk to her in front of the big tree. The scroll she wanted this time will be on the left side of the cave, and you should ring the bell into this position. Give her a reel, then you need to give her two snakes. In fact, the “fruit” is Serpent Viscera, you can get it from the giant snake. To get Fresh Serpent Fruit, head to the first idol of Senpou Temple and put it to the right. Use Puppeteer Ninjutsu to let him use it for your kite enemies. Go down the path and use the kite to grab the next area to find the giant snake. Kill him and get Fresh Serpent Viscera “Fruit”. Holding the snake fruit in your hand, return to the holy children in the temple and hand them over to them. Once you have it, rest at the idol and talk to her again to receive the tears of ice. Now continue your game normally. Finally, give Kuro the tears of freezing to get the ending. Which ending is your favorite among these four? Do tell us in the comments section below.